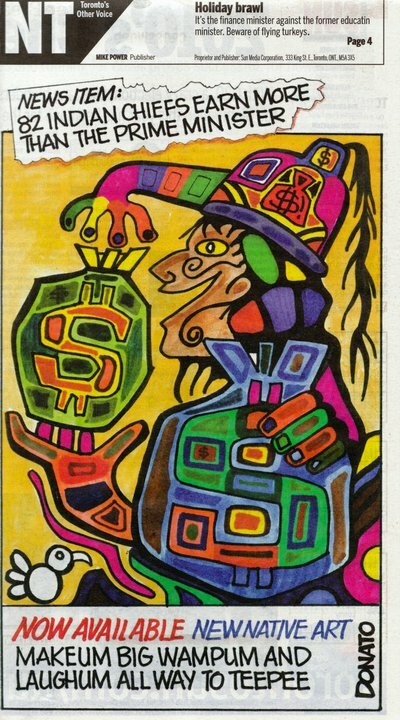 A majority of people in the Indigenous community feel that the Chiefs are abusing the imposed Indian Act system and that cartoonist Andy Donato hit below the belt in his recent opinion in Sundays Toronto Sun. “This is in the Toronto Sun commentary pages today, that piece of garbage newspaper. I’m not in favour of any Chiefs making outrageous salaries while the people most in need go without. But this, this goes too far and mocks an entire culture! Using a Morriseau painting at that.” explains an active First Nations women. AFN National Chief Shawn Atleo acknowledged in an interview that many chiefs have come to the conclusion that the best way to respond to the controversy is to provide full disclosure. Chiefs and their Chief Organizations preach Sovereignty but when threatened by the Canadian Tax Payers or Government they always back down which contradicts our Sovereignty which they are paid substantially well to protect. Chiefs exploit Sovereignty and Cultural Teachings and Symbols and only seem to use it to for photo opts and to sugar coat funding proposals. 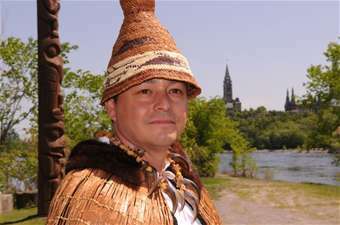 Shawn A-in Chut Atleo is a Herditary Chief of Ahousaht First Nation along with the National Chief of the Assembly of First Nations. By representing INAC elected system he his dishonoring the authority of his Clan Mothers and responsibility as a Hereditary Chief. The Algonquins of Barriere Lake are currently exercising their Sovereignty reestablishing their Traditional Governance while Atleo and AFN hide behind their eagle feathers and headdresses. Our Afro American brothers and sisters called this Uncle Tom today we can call this Uncle Tomahawk. This is the real Exploitation of our Culture. The Six Nations Confederacy, with their Warrior Societies, Hereditary Chiefs and Clan mothers are another one of the few Indigenous Nations in Canada that does not acknowledge AFN, Chiefs Organizations and the Indian Act. They have participated in many Actions that exercises their Sovereignty and never back down from threats by Canada or their Tax Payers. Andy Donatos cartoon is brilliant. Some in the “aboriginal” community feel he has exploited our culture by mimicking Norval Morrsieaus woodland style of art. However it is just a comment on how Chiefs are the real culprits when it comes to exploiting aboriginal culture. If First Nations people wish to lash out at this artist we then lash out at our own freedom of speech becoming hypocrites and dictators just like the Chiefs. 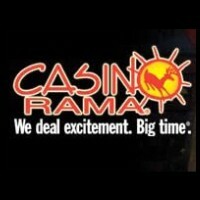 Casino Rama or Rama First Nation, what are you really dealing? I am blog master of the NORVAL MORRISSEAU BLOG. I am asking for permission to publish this post at http://norvalmorrisseau.blogspot.com/ with giving all credits to the author.